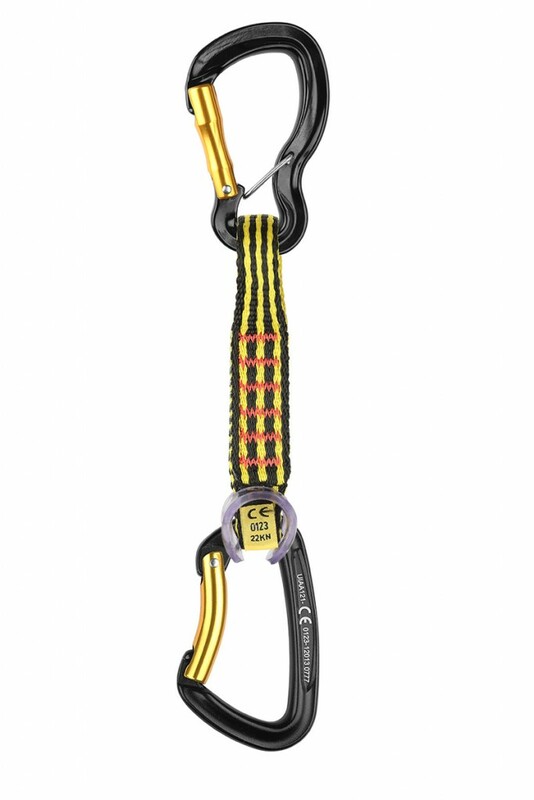 The new Grivel Captive carabiner is the anti cross-loading carabiner. Cross-loading happens when a carabiner is stressed on its minor axis. Carabiners are strongest when stressed on their major axis, directly in line, vertically, along the spine. When a carabiner is stressed on its minor axis it’s generally one third as strong. The second difficulty happens when the carabiner “turns” on the rack and there is need of unlocking it as fast as possible. The third and final issue is when, in need of clipping the carabiner, it has turned around in the quickdraw making it impossible to clip in. The new Grivel Captive solves all of these climbing problems!